The new Food Institute at University College Cork officially opened on Friday, January 18th, at a ceremony attended by over 250 representatives from the areas of food related research, education and business. The new institute represents a major development in food related research and education in Ireland. 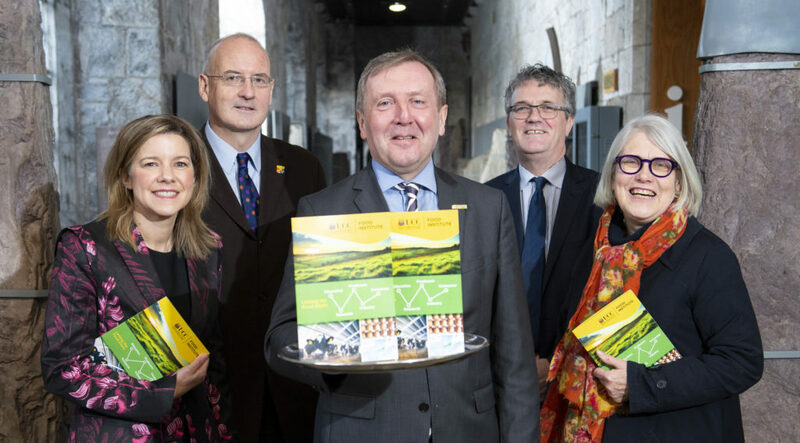 UCC houses the biggest concentration of food-related resources in Ireland, and the institute illustrates a further strengthening of the University’s commitment to the Irish agri and agri-food sectors which are now at a critical juncture. The Food Institute will bring researchers, educators and industry representatives together in a dynamic, cross-disciplinary research environment, with a strong industry focus on delivering innovative science and technologies. Minister for Agriculture, Food and the Marine, Michael Creed T.D., attended the launch, and praised UCC for their progressive contribution to the Irish food industry: “I understand that over 16% of UCC students are international, a reflection of the reputation of the college globally. As of 2018, UCC offers a joint degree programme in Food Science with the Beijing Technology and Business University (BTBU). Throughout the morning, attendees also heard from key leaders from the food industry and academia including Jim Woulfe, CEO, Dairygold; Professor Paul Ross, UCC; Professor Thia Hennessey, Cork University Business School, Professor John O’Halloran, Deputy President UCC; Dr Gerry Murphy, Chairman, Tate & Lyle and Dr Wayne Anderson, Director of Food Science and Standards, Food Safety Authority Ireland. The area of food research has been one of the flagship brands of UCC since the 19th century. The college is the most prolific in the country for producing research publications in both Food Science and Nutrition. Over 240 staff at the college work in food and food related areas. For further information on the Food Institute UCC visit www.ucc.ie/en/food/.